Helping our friends in Alaska, and Antarctica. Call me to learn how to buy wholesale! AMSOIL synthetic motor oils are specially designed to protect engine components, reduce emissions, last longer and reduce fuel consumption – all features that help prevent environmental pollution. AMSOIL synthetic motor oils resist chemical breakdown and the formation of sludge, keeping engines cleaner. They have been specifically designed not to oxidize, volatilize or shear, resulting in a motor oil that lasts longer than conventional motor oils. While conventional motor oil manufacturers recommend oil changes every 3,000 miles, AMSOIL synthetic motor oils protect engines for up to 25,000 miles (up to 50,000 in diesel applications) or one year, dramatically extending oil change intervals. The advanced lubricity (slipperiness) of AMSOIL synthetic lubricants has been proven to increase fuel economy by 2-5%. AMSOIL lubricants reduce friction and allow engines to use energy more efficiently. 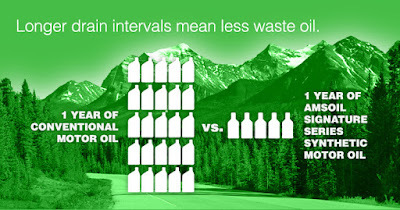 AMSOIL is a Company Dedicated to Minimizing its Ecological Impact and Maintains an ISO 140001:2004 Certification. ISO 14001:2004 sets out the criteria for an environmental management system. It does not state requirements for environmental performance, but maps out a framework that a company or organization can follow to set up an effective environmental management system. ISO 14001:2004 certification indicates that AMSOIL takes environmental stewardship seriously and takes deliberate steps to minimize the company’s environmental impact. Call me and I will be happy to help you learn more about AMSOIL products. 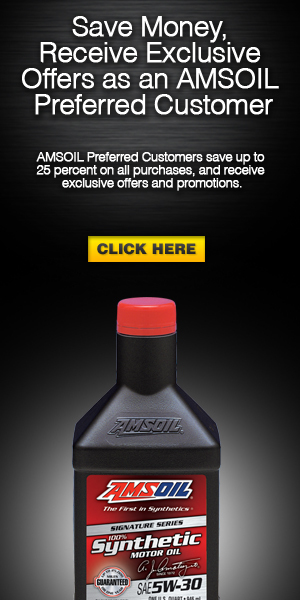 Robert Bruton Authorized AMSOIL Dealer, call me with questions, l can assist you with all your AMSOIL needs! Protect your daily car or your working trucks, we can help! When used in conjunction with AMSOIL motor oil and an AMSOIL EaO or Donaldson Endurance™ filter, the EaBP90, 100 and 110 Filters should be changed every other full-flow filter change up to 60,000 miles or one year whichever comes first. When used with other brands of motor oil or full-flow filters, the EaBP Filter should be changed every other full-flow filter change. AMSOIL recommends using oil analysis when extending oil drain intervals. 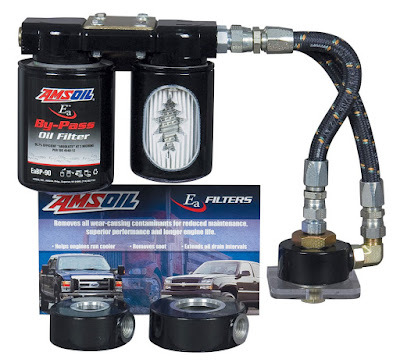 AMSOIL has designed a high-efficiency by-pass filter element that is also a soot removal device. AMSOIL Ea Bypass Filters use a synthetic/cellulose sandwiched media. The inner layer of the element is composed of a highly efficient cellulose media covered with a full synthetic media outer layer. These filters remove 39 percent of soot contaminants less than one micron. Soot removal efficiency increases approximately 10 to 14 percent when the EaBP Filter is used in conjunction with a standard full-flow filter. The oil & gas business is demanding on equipment, and tools. You need maintenance products that protect your equipment, keep you up and running. Down time costs big money! AMSOIL synthetic products for hydraulics, engines, diesel, fuel additive, metal protection and gear lube. We cover all your equipment, truck and hydraulic needs. reciprocating and other compressor applications. Serving our oil & gas customers in Houston, Corpus Christi, Midland, Odessa, Dallas and all points in between. AMSOIL American Adventure, registrar today to win 2 tickets. Robert Bruton Independent AMSOIL Dealer serving Corpus Christi. Find out how AMSOIL can benefit your vehicles call today. AMSOIL Signature Series, best synthetic oil! Excess piston deposits can lead to pre-ignition and engine knocking, which results in lost power, reduced fuel economy and, in severe cases, engine damage. Signature Series' premium additives and naturally high resistance to extreme heat help keep pistons clean for maximum engine performance. After a double-length, 200-hour Sequence IIIG engine test, Signature Series demonstrated outstanding cleanliness properties and shattered the requirements of a 100-hour test. If you own a fishing boat, pleasure boat or diesel powered boat, take a look at what AMSOIL Marine Synthetic oil can do for your boats regular maintenance. 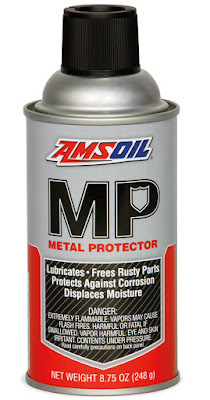 AMSOIL has metal protection products that are even great for your fishing gear. Protects against salt water. As your local AMSOIL dealer for Corpus Christi, Rockport, Port Aransas, and the Coastal Bend area. Call me today. 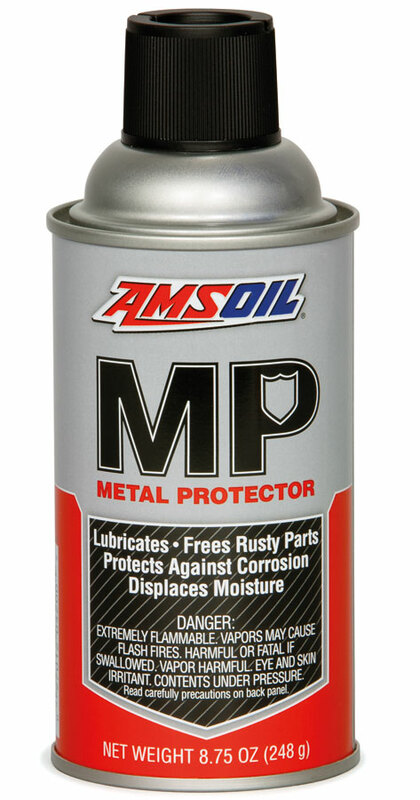 AMSOIL Metal Protector effectively lubricates moving parts, silencing squeaks without gumming up mechanisms. It displaces moisture from freshwater or saltwater to help prevent corrosion, and it is the product of choice for drying and protecting electrical and ignition systems. Metal Protector penetrates deep through rust and corrosion to restore movement of rusty parts. It is excellent for protecting firearms and other fine components, and it helps prevent jamming, especially in cold weather. Metal Protector contains no silicone, and is compatible with plastic, leather, fabric, fishing line and paint. Bob Bruton Independent AMSOIL dealer.